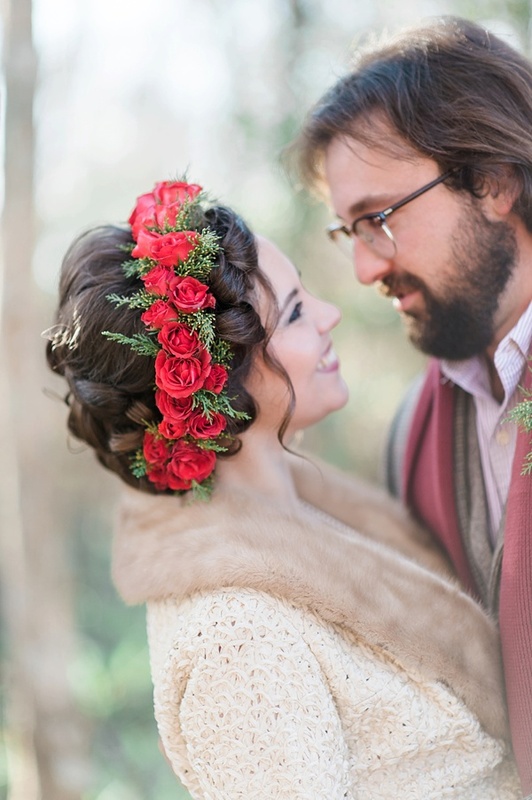 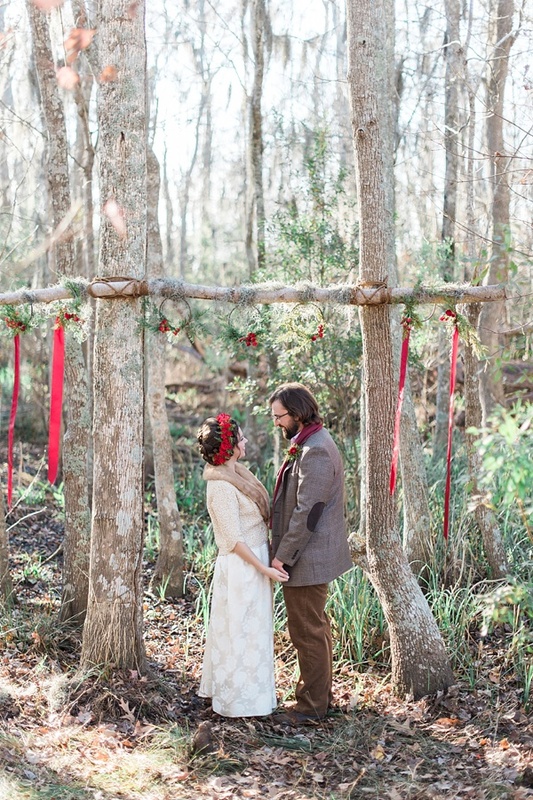 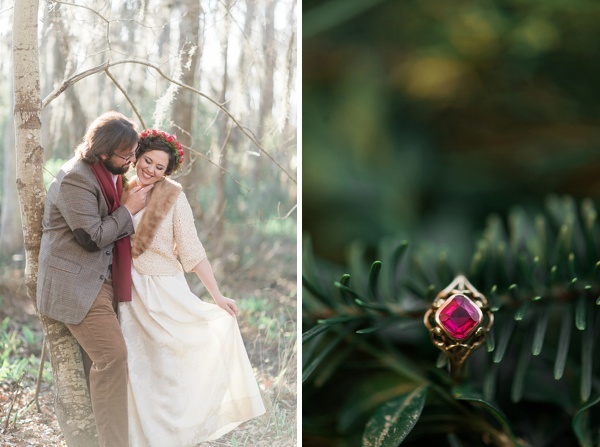 It is no secret I love Christmas, so heck yes, to giving color nods to the best winter holiday ever even in January because winter brides or grooms can still get inspired for chilly weather weddings! 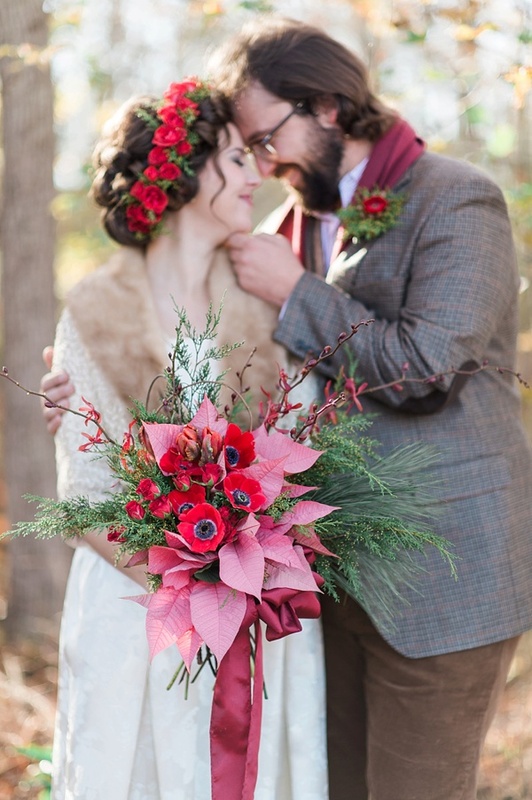 With red anemones and lush textured greenery, these are naturally sourced during the coldest months of the year... making it eco-conscious, gorgeous, and oh so perfect for many winter themes. 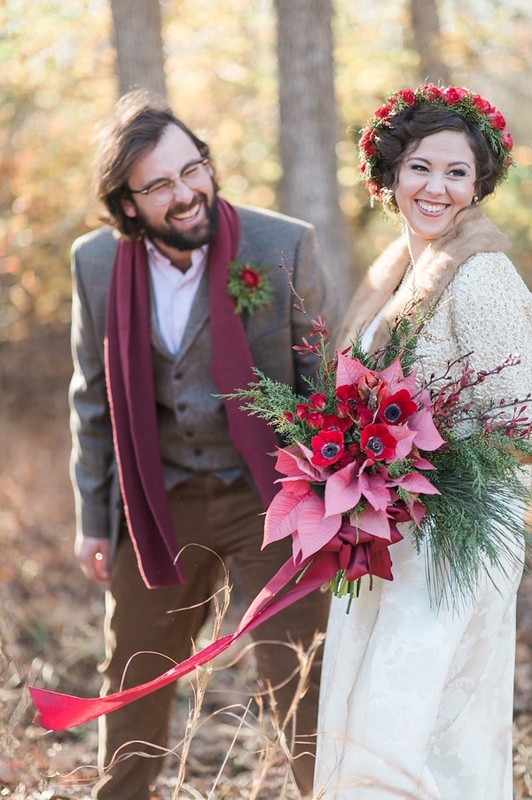 Inspired by the discovery of a pristine brocade print gown the groom's aunt handmade in 1964 (worn by the bride! 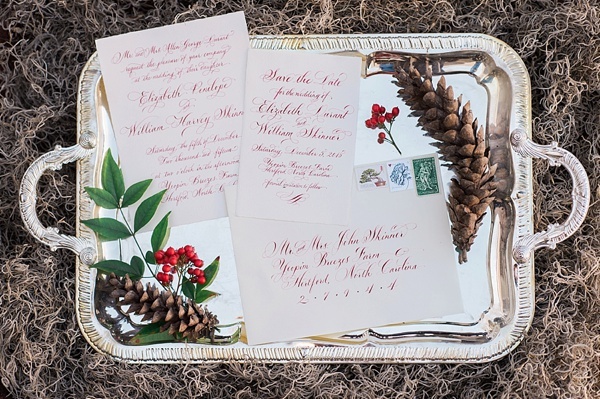 ), Missy Loves Jerry collaborated with Yeopim Flowers to envision an elegant take on vintage aesthetic and local North Carolina history. 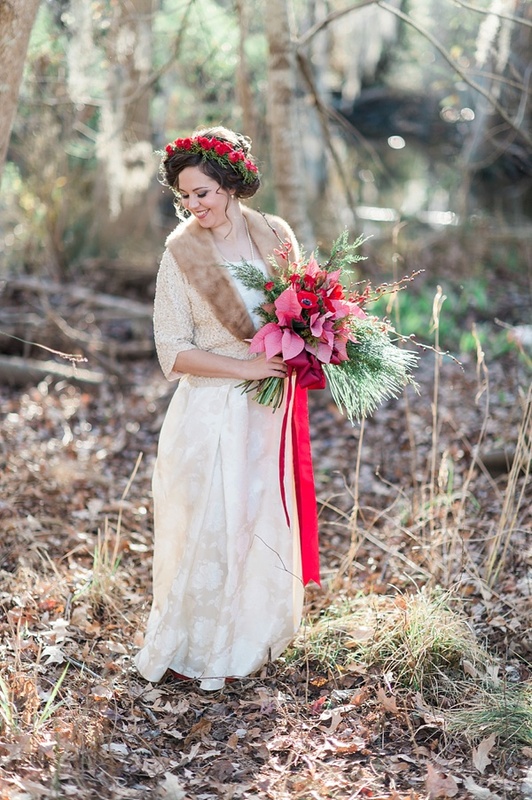 To start off describing this shoot, North Carolina's Perquimans County translates to "Land of Beautiful Woman" in the Yeopim Indian (Algonquin) language, and this lovely classic bride certainly exemplified the saying! 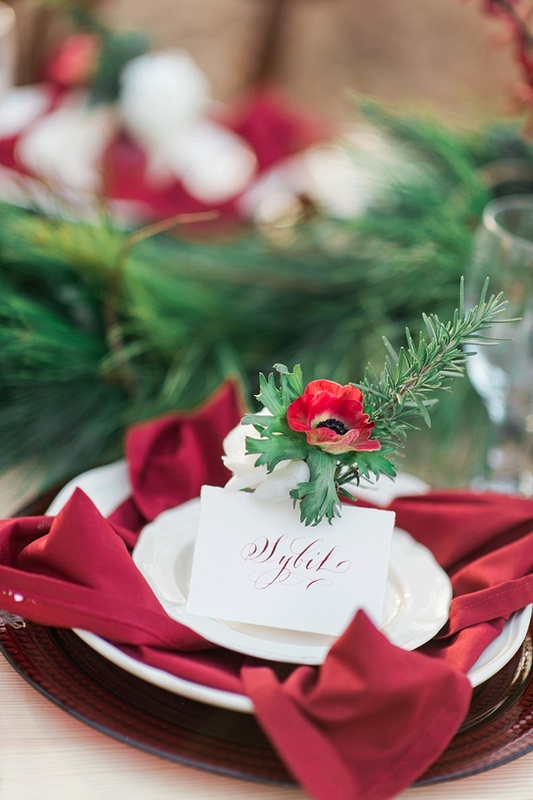 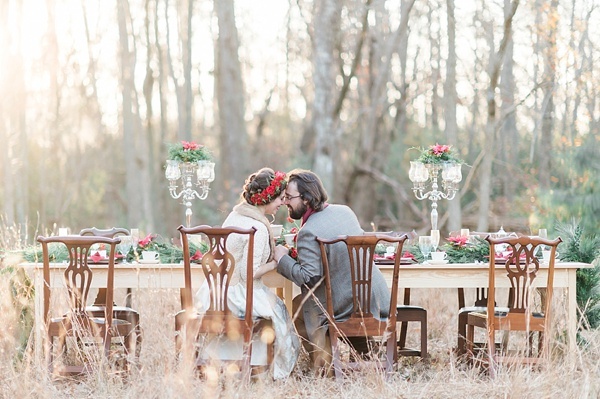 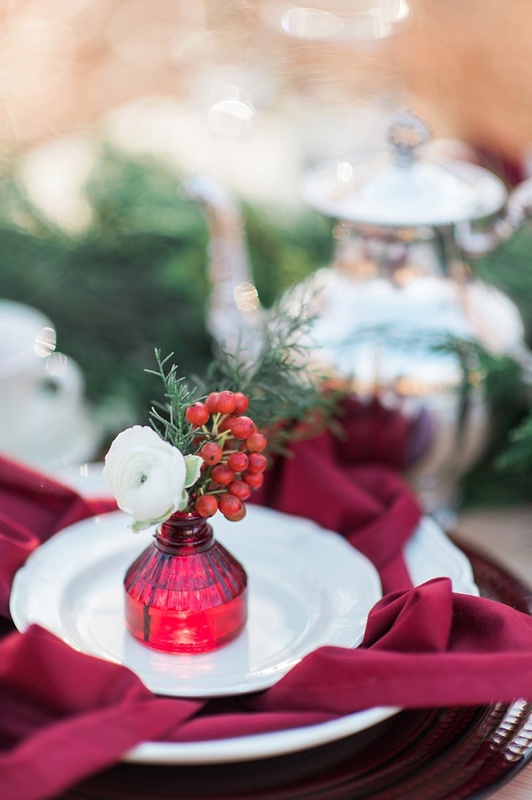 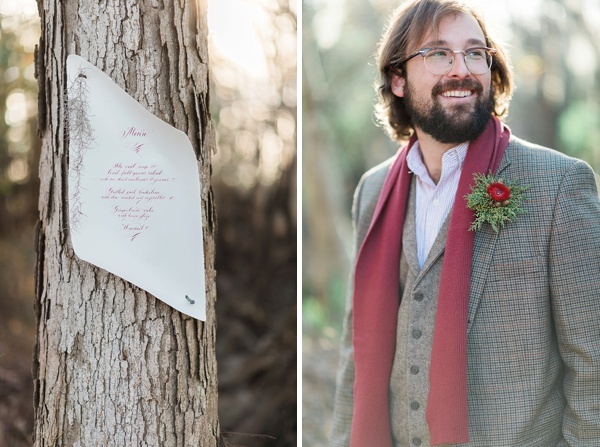 From handmade pine tables and chairs by Hobbs Furniture (a Master Period American Furniture Maker) to the vintage ruby ring from the Silver Fox of Hertford to the handsome crimson-written stationery created by Elizabeth Porcher Jones, this winter wedding inspiration is steeped in heritage and all things cozy neutral with pops of vibrant cranberry red and perfect for any holiday couple or anyone who has invited Old Man Winter to their wedding!